On May 18th, 2018, in Szczecin, Poland, the Beethoven Academy Orchestra will perform the European premiere of Lyric Suite, as well as music from Interview with a Vampire, Alien 3, and the Grand Gothic Suite (from Elliot's Batman scores). Conducted by Katarzyna Tomala. This spring's Film Music Festival in Krakow will feature Elliot's Concerto For Trumpet and Strings, a special composition in the context of his relations with Krakow and Poland. The Norwegian trumpet virtuoso Tine Thing Helseth will play the solo, and the National Symphonic Orchestra of the Polish Radio will be conducted by the Belgian master of the baton, Sir Dirk Brossé. Ireland's RTÉ National Symphony Orchestra proudly presents an evening with Academy Award® and Golden Globe Award winner and Grammy nominee Elliot Goldenthal to include music from some of his blockbuster movies scores this upcoming June in Dublin. The Krakow Film Music festival will feature a new suite written specially for this June concert inspired by Elliot's soundtrack for the film FINAL FANTASY: THE SPIRITS WITHIN. The Broadway revival of David Henry Hwang's Tony-winning play, directed by Julie Taymor, made its official debut on October 26th at the Cort Theater. Elliot Goldenthal composed original music for the play. Check out the trailer and pictures from opening night below! The Chamber Orchestra of Philadelphia will premiere Elliot's 'For Trumpet and Strings' with renowned Norwegian Trumpeter Tine Thing Helseth this Sunday. Elliot will join in a post show talkback with Maestro Dirk Brossé and Tine Thing Helseth. JUST ANNOUNCED! FILM MUSIC PRAGUE festival will present a multi media concert show called ALIEN SYMPHONY, featuring Goldenthal's ALIEN 3. The premiere will take place on Thursday, January 26 & Saturday, January 28, 2017 at 7:30 PM at the Kodak Hall at the Eastman Theatre by the Rochester Philharmonic Orchestra. A MIDSUMMER NIGHT’S DREAM AT THE OLD GREENBELT THEATRE! A MIDSUMMER NIGHT’S DREAM will be screening in Greenbelt, Maryland on July 10 and 11 at the Old Greenbelt Theatre. Get your tickets here! A MIDSUMMER NIGHT’S DREAM’S NEW WEBSITE! With music by Elliot, Julie Taymor’s A MIDSUMMER NIGHT’S DREAM will continue to be screened nationwide. Check out the movie’s new website for information about screenings near you. 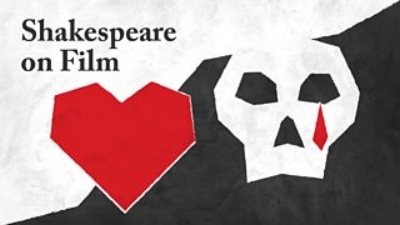 A MIDSUMMER NIGHT’S DREAM will be screened on May 5th, 8th, and 16th at SIFF! Symphony in G# Minor had it’s European premiere on September 6, 2015. It was performed by the Bruckner Orchestra in Linz and conducted by Dennis Russell Davies. Watch a clip of the performance below! GOLDENTHAL’S ‘LOUIS’ REVENGE’ FROM INTERVIEW WITH A VAMPIRE PERFORMED AT FMF KRAKOW! Watch this clip of Goldenthal’s ‘Louis’ Revenge’ from INTERVIEW WITH A VAMPIRE being performed at Film Music Festival Krakow, 2015! FABRICE CALMELS TO DANCE THE “PAS DE DEUX” FROM OTHELLO AT THE DIZZY FEAT FOUNDATION- CELEBRATION OF DANCE! August 1, 2015, 7:30pm at Club Nokia, Los Angeles, California. GOLDENTHAL’S SYMPHONY IN G# MINOR ON 180GRAM VINYL AVAILABLE NOW! LIMITED EDITION OF ONLY 300 NUMBERED COPIES! Available Now Through Special Order – $50 plus Shipping Direct from Zarathustra Music – email victoriustitus@gmail.com. EUROPEAN PREMIERE OF GOLDENTHAL’S SYMPHONY IN G# MINOR BY THE BRUCKNER ORCHESTER LINZ ON SEPTEMBER 6TH! GOLDENTHAL DISCUSSES A MIDSUMMER NIGHT’S DREAM! Julie Taymor (director) and Elliot Goldenthal’s (composer) ‘A Midsummer Night’s Dream’ will hit select movie theaters TONIGHT, June 22, 2015! A special one night only event, make sure to click here for show listings. If you’re interested in finding out more about Goldenthal’s process with this work, be sure to read this article from The Hollywood Reporter and listen to this interview from Film Music Media! GOLDENTHAL INTERVIEWS WITH CLASSICALITE, HUFFINGTON POST, AND BROADWAY WORLD! Interested in finding out more about Goldenthal’s recent work? Click on the links below to read some wonderful interviews with the composer and stay up to date! goldenthal receives the 1st annual kilar award! Watch his acceptance speech below! SYMPHONY IN G# MINOR — NOW AVAILABLE FOR PURCHASE ON AMAZON AND ITUNES! Goldenthal’s ‘Symphony in G# Minor’, performed by the Pacific Symphony, is now available for purchase! Click here to buy your hard copy on Amazon and click here to purchase your digital download on iTunes! GOLDENTHAL NAMED WINNER OF THE 1ST ANNUAL KILAR AWARD! Elliot Goldenthal has been named the winner of the first Annual Kilar Award, that seeks to honor Polish composer Wojciech Kilar, “as well as emphasize the importance of the ethos of the composer in the interdisciplinary world of film”. Goldenthal was selected by the Wojciech Kilar Award’s Expert Council, which consists of directors of the most important Polish cultural institutions. To read the full article about this prestigious award click here! GOLDENTHAL’S SYMPHONY IN G# MINOR TO BE RELEASED MAY 12 ON AMAZON AND ITUNES! Goldenthal’s “Symphony in G# Minor” will be released on Amazon and iTunes May 12! Click here to preorder the CD on Amazon or here to preorder the digital download on iTunes! PURCHASE TICKETS FOR GOLDENTHAL’S UPCOMING PLAY GROUNDED, HERE! Elliot Goldenthal is scoring the music for Grounded, a Julie Taymor directed one-woman show starring Anne Hathaway. The play will run from April 7, 2015-May 17, 2015 at The Public Theater in NYC. For more information and to purchase tickets, click here! Watch filmmaker Michael Mann present Elliot Goldenthal with the prestigious Founders Award at the 2015 ASCAP Film & Television Music Awards. Elliot Goldenthal accepted the prestigious Founders Award at the 30th Annual ASCAP Film and TV Music Awards on March 9th. To read more about the awards ceremony click here! Goldenthal at the premiere of his Lyric Suite for String Quartet, Piano, and String orchestra with the McDuffie Center for Strings Ensemble and conductor Ward Stare. Monday, February 9th at Le Poisson Rouge. GOLDENTHAL TO RECEIVE FOUNDERS AWARD AT ASCAP’S FILM & TV MUSIC AWARDS! For more information on this prestigious award click here! Elliot Goldenthal will be premiering his “Lyric Suite” for string quartet, string orchestra, and piano at Le Poisson Rouge on Monday, February 9 with Robert McDuffie and the MCS Ensemble! This spring, Elliot Goldenthal will compose the music for “Grounded”, a play directed by Julie Taymor and starring Anne Hathaway. This one-woman show will run at the Public Theater from April 7 to May 17. For more information click here! GOLDENTHAL WINS “BEST NEW SYMPHONY” OF 2013 IN THE REGER AWARDS! The Orange County Register awarded Elliot Goldenthal the “Best New Symphony” Award for his Symphony in G# Minor in their annual Reger Awards. Check out the full list of awards here! 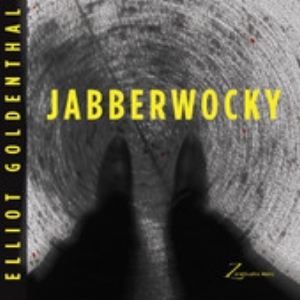 GOLDENTHAL’S “JABBERWOCKY” AVAILABLE ON ITUNES AND AMAZON! Goldenthal’s piece Jabberwocky, for bass baritone and four woodwinds, is available on iTunes and Amazon! Order your copy today! PET SEMATARY SOUNDTRACK NOW AVAILABLE ON VINYL! Mondo has announced that in celebration of the 25th anniversary of Goldenthal’s film ‘Pet Sematary’, the soundtrack will be available on vinyl! For more information click here! GOLDENTHAL’S ‘JABBERWOCKY’ AVAILABLE FOR PRE-ORDER ON AMAZON! Goldenthal’s piece ‘Jabberwocky’ is now available for pre-order on Amazon as well as iTunes. The piece, written for bass baritone and four woodwinds, will be released on November 18th. To pre-order your hard copy from Amazon click here! To pre-order your digital copy from iTunes click here! GOLDENTHAL’S ‘JABBERWOCKY’ AVAILABLE FOR PRE-ORDER ON ITUNES! Goldenthal’s piece ‘Jabberwocky’ is available for pre-order on iTunes today! The piece, written for bass baritone and four woodwinds, will be released on November 18th. Pre-order your copy here! GOLDENTHAL CONDUCTS THE CITY OF PRAGUE PHILHARMONIC IN HIS ALIEN 3 SUITE AT FILM MUSIC PRAGUE FESTIVAL ON SEPT. 24! FILM MUSIC PRAGUE FESTIVAL BEGINS TOMORROW! WATCH REHEARSALS HERE! Tomorrow, Wednesday, September 24th, Goldenthal will perform suites from some of his greatest films at the Film Music Prague Festival! Watch the sneak peaks below! Next week is an eventful one for Elliot Goldenthal with his participation in two major film music festivals: Film Music Prague and Film Music Festival, Krakow. On September 24th, Goldenthal will perform suites from his films INTERVIEW WITH A VAMPIRE, TITUS, COBB, and ALIEN 3 at the Opening Gala of the Film Music Prague Festival. This performance will be followed by a screening and panel discussion of INTERVIEW WITH A VAMPIRE on September 25th. 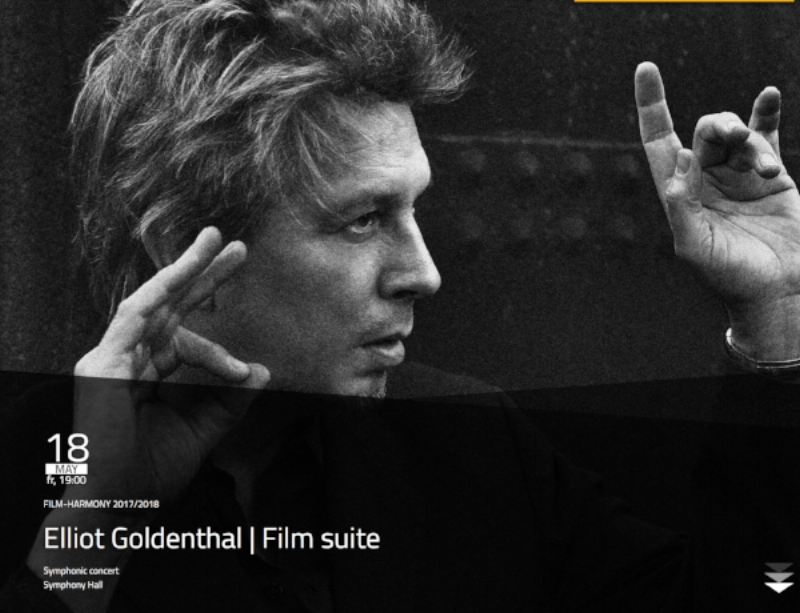 Goldenthal will then travel to Krakow, Poland for the Krakow Film Music Festival. Here he will perform his GRAND GOTHIC SUITE on September 28th at the International Gala of Film Music concert in celebration of ASCAP’s 100th birthday. Please click the links above for more information on these events and stay tuned for exclusive photos and videos! Directed by Julie Taymor with music by Elliot Goldenthal, ‘A Midsummer Night’s Dream’ received an excellent review from The Hollywood Reporter after its premier at the Toronto Film Festival this week. To read the article click here! A MIDSUMMER NIGHT’S DREAM TO BE PREMIERED AT TORONTO INTERNATIONAL FILM FESTIVAL! Julie Taymor’s ‘A Midsummer Night’s Dream’, with music by Elliot Goldenthal, will be premiered at the Toronto International Film Festival on September 8th, 2014! For more information visit tiff.net. In addition to the Prague Film Music Festival on September 24 (Titus, Cobb, Interview with a Vampire) , and Krakow’s ASCAP Celebration in a performance of the GRAND GOTHIC SUITE on September 28th , Elliot Goldenthal will premiere a new work at LPR in NYC on February 9th, written for Robert McDuffie and the MCS Ensemble. For more information on this concert click here. 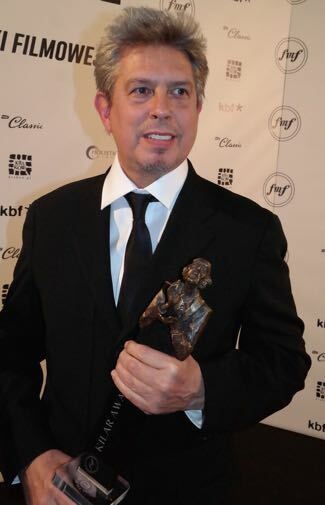 In July, 2014, Elliot Goldenthal was given an honorary award from the Tenerife International Film Music Festival, aka Fimucité 8, alongside esteemed composers Paul Williams and Antón García Abril. For more information click here! On September 24, 2014, Elliot Goldenthal will perform at the opening gala of the third annual charity festival, Film Music Prague. The evening, titled “Tribute to Goldsmith & Goldenthal”, will celebrate the music of renowned film composers Jerry Goldsmith and Elliot Goldenthal. Goldenthal’s performed works will include music from Cobb, Alien 3, Interview With A Vampire, and Titus. It will truly be a night to remember. ‘FIRE WATER PAPER: A VIETNAM ORATORIO’ IS NOW AVAILABLE ON ITUNES! Sony Classical has issued Goldenthal’s masterpiece Fire Water Paper: A Vietnam Oratorio digitally! Written to commemorate the 20th anniversary of the Vietnam War, the recording is performed by the Pacific Symphony and features Yo-Yo Ma on cello. Order your copy on iTunes today! BAY AREA REPORTER REVIEW OF GOLDENTHAL’S ‘OTHELLO SYMPHONY’ AND ‘STRING QUARTET NO. 1’! Michael McDonagh from The Bay Area Reporter wrote a wonderful review of Goldenthal’s Othello Symphony and String Quartet No. 1 “The Stone Cutters”. Read the article here. To purchase Othello, please visit iTunes OR Amazon. String Quartet No. 1 “The Stone Cutters” is also available on iTunes and Amazon. On July 12th, 2014, Elliot Goldenthal premiered his ‘Grand Gothic Suite’ from his Batman Scores at Tenerife’s Fimucité closing night gala. SONY CLASSICAL TO ISSUE GOLDENTHAL’S ‘FIRE WATER PAPER’ ORATORIO DIGITALLY ON JULY 22! Fire Water Paper: A Vietnam Oratorio was composed in 1995 to commemorate the 20th Anniversary of the Vietnam War and is one of Elliot Goldenthal’s most esteemed orchestral works. Sony Classical will be issuing the work digitally on July 22nd. Stay tuned for more information. On July 12th, Elliot will premiere his “Grand Gothic Suite” from his Batman scores at Tenerife’s Fimucité closing night gala! For more information on the event, please visit the Fimucité program as well as Elliot’s bio. Read LA Times reporter David Ng’s article entitled “Elliot Goldenthal’s New Pacific Symphony Piece Is All About Timing”! In the article, Ng interviews Elliot about his new piece ‘Symphony in G# Minor’ which premieres tonight at the Pacific Symphony. 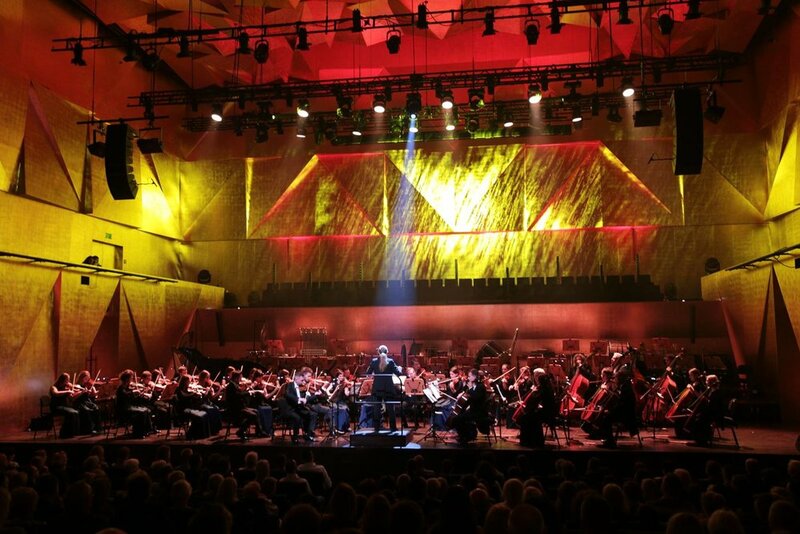 WORLD PREMIERE OF ELLIOT GOLDENTHAL’S ‘SYMPHONY IN G# MINOR’- TONIGHT! Elliot Goldenthal premieres his concert work ‘Symphony in G# Minor’ tonight at 8pm! As part of the Pacific Symphony’s American Composers Festival, Elliot will share the stage with renowned film composers John Williams, Howard Shore, and James Horner. For more information about the concert and ticket sales click here! ELLIOT GOLDENTHAL’S ‘OTHELLO SYMPHONY’ AVAILABLE NOW ON ITUNES AND AMAZON! Othello Symphony is a symphonic reworking of Goldenthal’s ballet, Othello, which he composed in 1998. 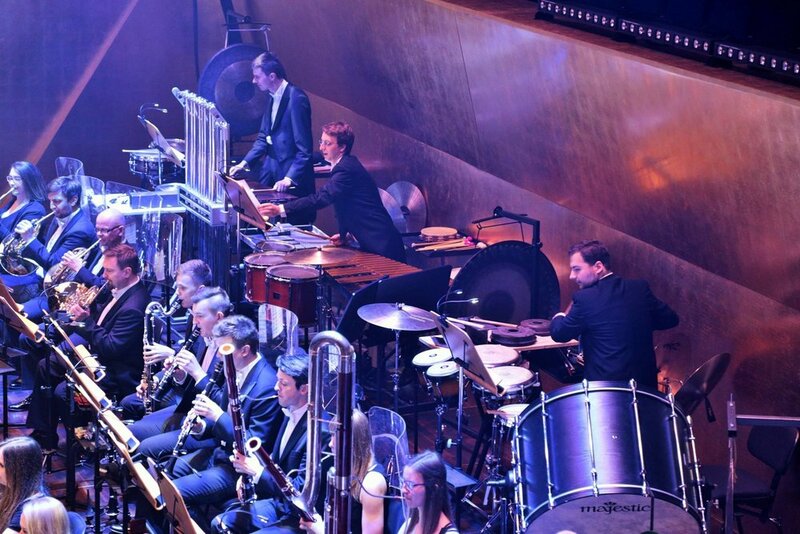 This seven movement symphony, performed by the Aukso Orchestra and Marek Mos, was born from Goldenthal’s desire to bring the piece to the stage as a symphonic work – not intended to follow a specific narrative, but to present it in a non-programmatic way. At 34 minutes, Goldenthal’s Othello Symphony can now finally be heard in this additional context, the concert hall, as the great modern symphonic masterwork it is. Order your copy at Amazon or iTunes today! ELLIOT GOLDENTHAL’S COMPOSER NOTES FOR HIS NEW WORK ‘SYMPHONY IN G# MINOR’ NOW AVAILABLE! Elliot Goldenthal’s composer notes for his new work Symphony in G# Minor have been published on Pacific Symphony’s website! In lieu of the Pacific Symphony’s 14th American Composers Festival, Alan Chapman speaks about film music and interviews Elliot Goldenthal in this podcast. The two discuss Elliot’s film scores as well as his new work, ‘Symphony in G# Minor’, which will be premiered at the American Composers Festival on May 8th! Elliot is nominated for Outstanding Music in a Play for A MIDSUMMER NIGHT’S DREAM. On May 8th, 2014, Elliot Goldenthal will premiere his new concert work ‘Symphony in G# Minor’ at the Pacific Symphony’s 14th American Composers Festival. This event, titled “From Screen to Score: New Concert Music by Famous Film Composers“, will feature works from John Williams (“Star Wars”, “Raiders of the Lost Ark”), Howard Shore (“Lord of the Rings”, “The Hobbit”), James Horner (“Titanic”, “Star Trek”), and Elliot Goldenthal (“Frida”, “Alien 3”). To learn more about the concert and Elliot’s involvement, read this recent Variety article. For ticket sales and other information click here. ELLIOT GOLDENTHAL’S ‘OTHELLO SYMPHONY’ WILL BE RELEASED ON MAY 6TH. AVAILABLE FOR PREORDER ON AMAZON AND ITUNES TODAY! Othello Symphony is a symphonic reworking of Goldenthal’s ballet, Othello, which he composed in 1998. This seven movement symphony was born from Goldenthal’s desire to bring the piece to the stage as a symphonic work – not intended to follow a specific narrative, but to present it in a non-programmatic way. At 34 minutes, Goldenthal’s Othello Symphony can now finally be heard in this additional context, the concert hall, as the great modern symphonic masterwork it is. Preorder your copy at Amazon or iTunes today! THIS FRIDAY: Elliot Goldenthal and Julie Taymor will lead a discussion following a special screening of their film ‘Titus’ on Friday, April 4th, 7 pm at Loews Village VII Cinema, NYC! ELLIOT GOLDENTHAL’S “THE STONE CUTTERS” WILL BE RELEASED ON APRIL 1ST. AVAILABLE FOR PREORDER ON AMAZON AND ITUNES TODAY! Elliot Goldenthal will be releasing his album String Quartet No.1 “The Stone Cutters” And Early Chamber Works on April 1st, 2014. The album features his new string quartet, which was published in 2013, and includes some of his earlier work: Three Pieces for Piano (1974), Sonata for Bass & Piano (1977), and Brass Quintet No. 2 (1978). This unification of his early work and his newest work offers a glimpse inside Goldenthal’s ever deepening compositional mind. Available for preorder on Amazon or iTunes today! WITH MUSIC BY GOLDENTHAL, PREVIEWS FOR TFANA’S A MIDSUMMER NIGHT’S DREAM BEGIN OCTOBER 19! On The Score with Edmund Stone: A Conversation with Elliot Goldenthal. His concert and opera music won him a Pulitzer prize nomination. He’s written music for Tony-award-winning plays, too. But Elliot Goldenthal is best known for his film scores. We’ll talk with Goldenthal about composing for film, and listen to his music from Batman Forever, Frida, Michael Collins and more. Joffrey Ballet takes on Shakespeare’s Othello, on WBEZ’s. The Joffrey’s interpretation of Shakespeare’s Othello opened in Chicago. The Afternoon Shift was joined by Oscar Award-winning composer Elliot Goldenthal, and Scott Speck, Joffrey’s music director & conductor. The two talk about how music and dance fit together, the importance of live music for dance, and about how Goldenthal and the Joffrey collaborated for this production. Presenting the latest release in our Expanded Archival Collection, renowned composer Elliot Goldenthal’s (ALIEN 3, DEMOLITION MAN, HEAT, A TIME TO KILL) original score to the 1995 WARNER BROS. Goldenthal’s robust orchestral score honors The Caped Crusader with a powerful theme that is pitch perfect whether appearing as a stalwart march or brooding character study. The rest of the score follows suit, effectively supporting the film’s array of characters and large-scale action with complex, memorable themes and motifs. This remastered release has been radically expanded, more than doubling the running time of the original 1995 score soundtrack release. (The remastered 1995 score album is presented here as well). Produced and supervised by Elliot Goldenthal, produced for La-La Land Records by Neil S. Bulk and Dan Goldwasser, and mastered by James Nelson, this 2-CD limited edition release features exclusive, in-depth liner notes from film music writer John Takis and is a must-have for any film-music enthusiast. This is a Limited Edition of 3500 Units.